How would you score your e-learning course if it was a movie? There are many different blogs that deal with social learning, social media, and any other subject that deals with the marriage of tech and teaching. However, when I ran across this one I felt that I had to reference it. 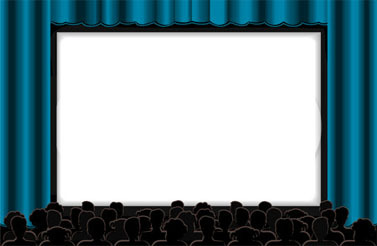 In this e-Learning Leadership Blog, Edmond Manning discusses how common e-learning topics would be reviewed as movies. Even though the article is satirical in nature, it should be read by all current and future instructional designers. How will your trainings be viewed? Will it be viewed as same old, same old plot line; or will it be viewed as something cutting edge that encourages the audience to be engulfed by it? Can social media be part of it? Or is it just another sit and get training. Personally, it not only made me think about my works pertaining to instructional design, but also to teaching in general. Get some popcorn and go rate your design work, hopefully you get 4 stars. Pretty cool way to view and critique e-learning pieces. Great read! Previous Previous post: Can You Make Real Money Blogging? Next Next post: Brands Pay HOW Much For A Fashion Blogger Instagram?